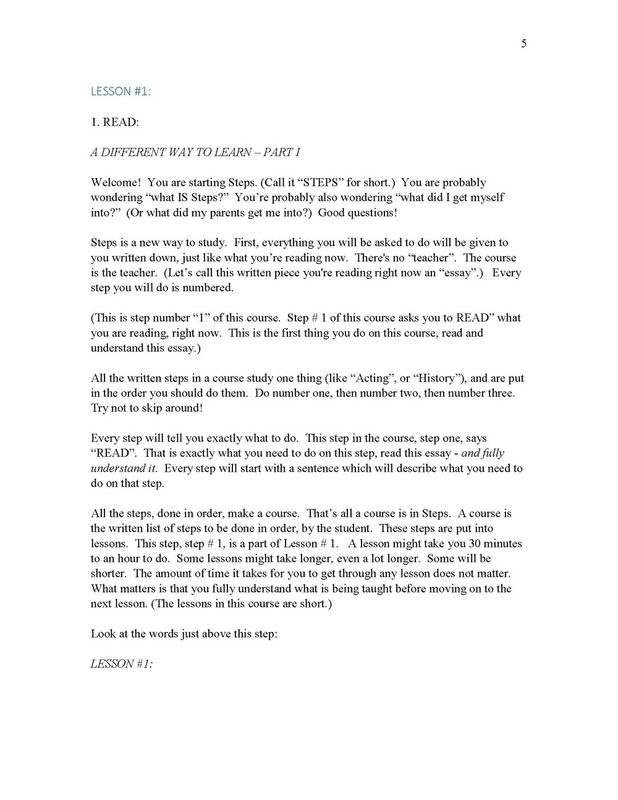 This FREE introductory course for Steps 2-3-4, students ages 8-up, demonstrates to the student the methods used in STEPS. This fun, quick and easy to do course eases the student into new and effective learning techniques and strategies, unlike any they may have experienced before. Why do this free course, the course we recommend that every student try out BEFORE you buy a course from us? Because STEPS is not like any studies you've likely used! We want you and your student to have an experience with our approach before you make an investment. Thousands of students have done this free course and many have decided to use our curricula. We all want to be "certain" before making a purchase, or subjecting our children to a curricula. This course provides certainty - one way or the other. If your student enjoys the approach, you'll know it pretty quickly.